Image by No Fibs citizen journalist Wayne Jansson taken on election night, of Alana Johnson, Cathy McGowan and Mary Crooks. When Jeff Kennett lost the “unlosable” Victorian election in 1999, the Victorian Women’s Trust’s Mary Crooks wasn’t overly surprised. In the years leading up the state poll, in her new role as Executive Director of the VWT, Crooks designed and led the ‘Purple Sage Project’ – which involved a community ‘kitchen table’ dialogue process with some 6000 people across the state. During this time, over 600 female and male group leaders (76% were women, all of whom had been taken through briefing sessions, many in country Victoria), met in their own groups of up to ten people. These individual groups met on average for three hours in their lounge rooms, church halls, book clubs, and yes, at their kitchen tables. These group leaders then reported back their findingsto the project team. From the 6000 participants, common themes emerged – people were disturbed by an erosion of democratic culture, they were concerned about unemployment and youth unemployment, and they sensed their communities being weakened. They were angry about the loss of Victoria’s public assets. “There was a mood across electorates demonstrating how citizens felt incredibly disengaged from their representatives, as well as being despairing and angry about a range of policies and their impacts on people and communities. While polling and many commentators assumed the Kennett Government would be returned, the mood for change was completely underestimated – the Purple Sage Project gauged this mood and I knew Kennett was set to lose a swag of seats,” Mary reflects. That he did, with Steve Bracks forming a minority Labor government, and with Labor then governing in their own right for the next decade in Victoria. Fourteen years later, Mary Crooks is similarly unsurprised by Independent Cathy McGowan’s remarkable victory in Indi, seen by many as an “upset”, causing a swing of over 9% against the sitting Liberal Member Sophie Mirabella – despite consistent swings towards the Liberal Party across the country ushering in the new Abbott Government. As part of a newly emerging community led group Voice 4 Indi, Cathy McGowan also tapped into the ‘mood’ of the electorate, and was part of the group’s initial dozen members who met in August 2012. The Seat of Indi stretches across Victoria’s North-East corner, taking in the major towns of Wodonga, Wangaratta and Benalla. Its history is steeped in conservative politics, which makes the 2013 result all the more interesting. The 2013 election story of Indi is not about a negative reaction to a ‘divisive’ local member, and it is not about a one-off ‘fluke’ result in favour of a conservative independent. “Rather than this being seen as Sophie Mirabella losing Indi, it is actually about Cathy McGowan winning the Seat,” Mary Crooks explains. For Crooks, Cathy McGowan’s successful bid for the Seat, through the community group Voice 4 Indi, represents “a carefully-constructed, structured campaign” which began last August, 2012. Along with Cathy McGowan, farmer and rural consultant and VWT Board member Alana Johnson was one of the original members of Indi residents at the initial Voice 4 Indi committee meetings. Johnson explains that one of the motivating factors behind the group meeting was to address the disengagement around politics, particularly with young people living in what is conceived to be a safe seat who didn’t think their vote mattered. There was also a level of frustration at the level of debate in Canberra, in what many saw as being reduced to nasty political slanging matches. “We felt that if we as interested community people didn’t demonstrate that we can do something about this, then we absolutely deserve the leadership we have,” Johnson says. In working out how to create a method of engaging other members of the electorate, the group contacted the Victorian Women’s Trust Executive Director to travel up for the day and brief them. As a long-term Board member of the Trust, Alana had been involved in the Purple Sage Project’s ‘Kitchen Table’ conversation process, and she was also involved in using the process around water, as part of the VWT’s six-year Watermark Australia project. 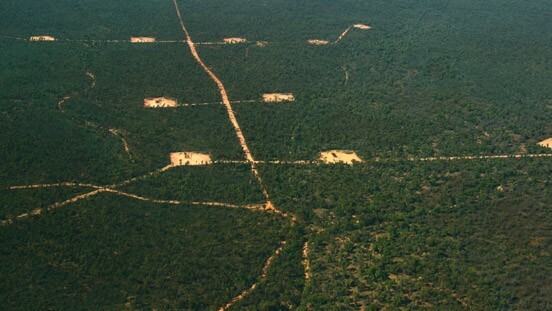 ‘Our Water Mark’ combined the actions and stories of many citizens and scientists working together around water reform (culminating in a June 2007 publication, at the height of Australia’s drought). As with Purple Sage, Our Water Mark tapped into everyday Australians’ views on a critical issue – and thousands were engaged in the kitchen table conversation process. So when the Voice 4 Indi group was ready to engage with people across the electorate, Mary Crooks, the architect of the model as used by the VWT for two major community-based projects, seemed an obvious choice to help the group nut down their values and vision. Mary traveled (on a late train, but of course) up to Wangaratta on the day before Melbourne Cup in early November 2012. Apart from engaging in some intensive work clarifying the vision and values that would underpin the Voice 4 Indi’s efforts, Mary also helped the group shape the initial communications materials needed to engage with the community. Leading up to this meeting, Crooks had penned the publication ‘A Switch in Time’ (published in September, 2012), which outlined the toxicity that had encompassed the federal political environment heightened during the Gillard minority government – a concern which was shared by the group in their initial meetings. “They were smart and they were prepared to listen. And even I think those who were a bit reluctant at first were totally on board with the process by the day’s end,” Crooks recalls. Following the meeting, Mary Crooks provided some follow up assistance in drafting the all important materials that would be given to every group leader in the electorate in order to host the kitchen table conversations, and in “explaining to people that whole notion that democracy is a conversation between equals about the future”. Also prior to the electorate conversations taking place, the group decided to approach the sitting Indi Member Sophie Mirabella – to explain the group’s purpose and project they would be undertaking. The subsequent meeting between McGowan and another representative from the group with Mirabella turned out to be an incredibly short – eleven minute – meeting. Johnson said Mirabella’s response was that she “already knew what the issues were” – and cited cost of living as the main concern – ironically an issue that did not actually emerge from the kitchen table conversations involving hundreds in her electorate. By the end of April, the ‘Kitchen Table Conversations’ had occured across Indi, with over 400 people engaged in the process. Using the Purple Sage model, each group host had a set of guiding questions to help the conversations, as well as a scribe. The same ground rules adopted in Purple Sage were re-employed so that participants all had a say. “The Kitchen Table Conversations created a vehicle or a place that was not only welcoming and safe, because it didn’t matter what your party politics were, but you were there because your ideas were going to be valued,” Johnson says. Cathy McGowan’s young and enthusiastic young team after the speeches on election night. Image by No Fibs citizen journalist Wayne Jansson. Johnson is also grateful for the “incredible amount of conceptual work that Mary Crooks provided in helping us take all the information that we gathered and in being able to distill it,” (which happened when Mary met with the group for a second time earlier this year, and on another late train, yes). As the resulting Report notes, one of the key learnings to emerge from the conversations was around political representation. “It became really apparent people wanted more from their representatives, they wanted a different type of relationship with their representative, and many wanted their representative to be a rural person who understood them,”Johnson says. At this point, the group began talking with different people about their interest in running as a possible independent candidate, but as Johnson notes, “it became pretty obvious that Cathy McGowan would be outstanding for job”. 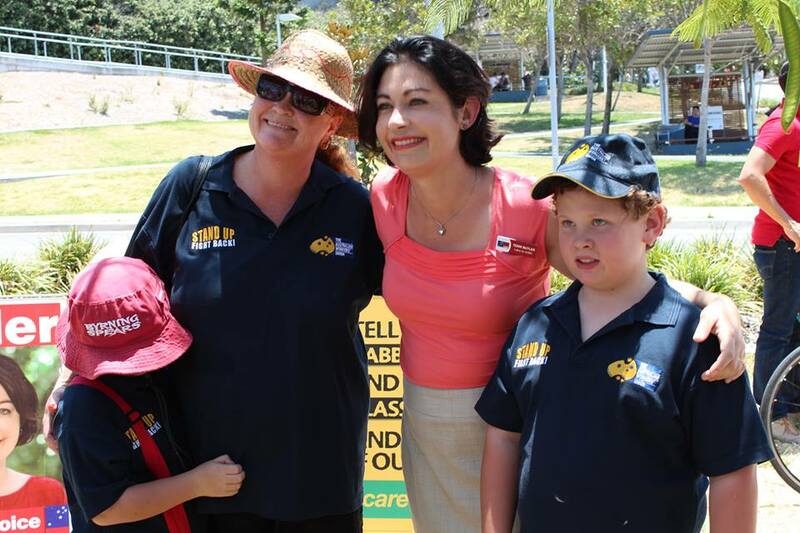 With a rock solid candidate now on board, the Voice 4 Indi group drew on the high quality community engagement process throughout the electorate to fashion and run a sophisticated election campaign. It involved hundreds of sharp, energetic and committed volunteers – women and men of all ages – carrying out the group’s ethos of respecting and enriching the broader political conversation. The campaign rolled on, always gathering momentum. At one stage of the campaign, Crikey.com leaked an email from Mirabella’s camp which talked about being “severely outflanked and outgunned by a far more active and enthusiastic campaign team”. Johnson attributes the “inspired young people” who came to help – some of whom are nieces and nephews of Cathy, and their friends – some of whom took time off from their jobs or university to help with the campaign. Amongst many other elements, they helped shape a savvy social media strategy. “Some people just brought food to the campaign offices every day. Some people started screenprinting, others doing graphics. It was just this organic process of people coming together and providing their skills. The further the campaign went along, the more people appeared with the next layer of skills needed,” Johnson says. And it appears they don’t mean to stop now that Cathy has been elected, with Mirabella conceding defeat yesterday. Johnson believes it will be an “ongoing conversation” with Cathy about doing politics differently. She says McGowan is keen to act as a “conduit between people with good ideas, and people in decision making processes”. Bring it. 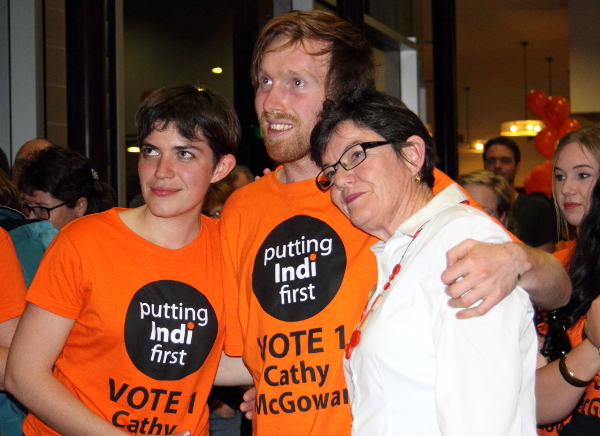 Welcome, Cathy McGowan MP, the new Independent Member and ‘Voice’ for Indi. Mary Crooks reckons there is an important broader context to the Indi success story that goes to the heart of the relationship between elected representatives and the people they serve, and ultimately to the overall health of our democratic culture. “While many ordinary women and men around the State were pushed to the margins, mounting evidence suggested the existence of an inner circle of unelected and unaccountable men wielding enormous power and influence over the directions of the State…Talkback radio replaced consultation. While there were concerned and committed journalists, by and large the media, at management level, were seduced and intimidated. Our national politics over the past few years has arguably reached a new low. Maybe, just maybe, the Indi experience triggers some upward movement? Editor Sarah Capper writes a monthly ‘Polly Ticks‘ column for Sheilas. Sophie had more one to one votes than Cathy by app 8000? That’s a lot of people voting for Sophie. Cathy won on preference votes….. and please do not refer to her as being a ‘farmer’ … A farmer is someone who derives their living from farming… it is not a hobby whilst we make our income elsewhere…we real farmers are offended when we have to put up with hearing this. Cathy is also not Catholic. She does not believe what the Church teaches therefore she is not Catholic…. Whether she is a Catholic or not is entirely irrelevant. What matters is she won and will make an excellent Senator.